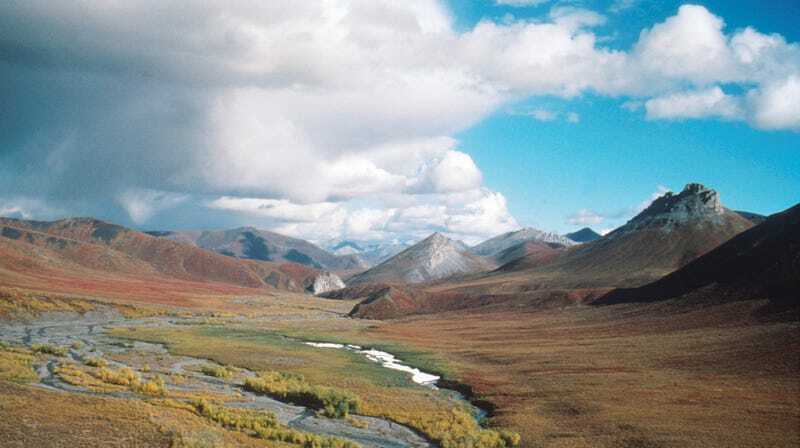 The Arctic National Wildlife Refuge is a national treasure. The Arctic National Wildlife Refuge (ANWR) in Alaska will be safe from oil and gas exploration for at least another winter. The Department of Interior is planning to start leasing the refuge’s 1.5 million-acre coastal plain to oil and gas interests this year. Seismic testing is supposed to give bidders an idea of the potential fossil fuel resources that lie underground. That testing was set to begin this winter, but the process to approve permits for the one company to express interest, SAExploration, got delayed due to legal requirements and the government shutdown, reports KTOO Public Media. Now, the company has requested to begin this process in December, instead. Opponents are concerned over how seismic testing and subsequent oil extraction will impact the land and wildlife, particularly the Porcupine caribou herd that calves on the coastal plain. The Gwich’in people rely on the caribou for sustenance, and the animal culturally significant. So they’re celebrating this small victory. The push to open up this pristine landscape to drilling has been in the works for decades. In the 1980s, seismic testing took place on the ANWR to explore its energy potential. The scars from those efforts remain today. You see, this process involves special thumper trucks that are equipped with heavy plating on their underside to send shock waves through the ground to map the oil deposits underneath. Regular trucks and infrastructure to house workers would accompany that intensive process, too. The Interior Department is still planning on holding a lease sale later this year, per the New York Times, but this information would’ve better informed potential bidders about what they’re buying. Now, those bidders will have to hope that the available outdated data is true. Or they could leave the refuge alone. That’s what opponents, especially the Gwich’in who consider the land sacred, hope. Earther reached out to the Interior Department’s Anchorage office for comment and will update if we hear back.